All-inclusive vacations are known for taking the hassle out of travel. In fact, the most difficult part of making travel plans is usually deciding which resort to book. A region-by-region compilation of some of the world's most highly-rated, all-inclusive resorts can help you choose your destination. The Club Med brand is synonymous with all-inclusive, so it's not without reason that Travel+Leisure magazine included their Sandpiper Bay property - only 30 minutes from West Palm Beach - among their top five. They don't just offer activities such as tennis, beach volleyball, golf and fitness regimens; they also offer classes or 'academies' to take your skills up a notch. If that isn't enough stimulation, there's always the Flying Trapeze & Circus School for vacationers who seek a slightly different all-inclusive experience. 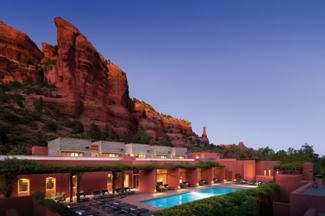 In the event you find yourself looking for sand but not surf in a location somewhere west of the Mississippi, Travel's Best gave the Mii amo Spa in Sedona, Arizona a spot on their coveted top ten list. As the name would suggest, the spa treatments included in this natural/spiritual haven complement a wide range of healthy living options and trainings available for anyone who seeks to heal both mind and body. 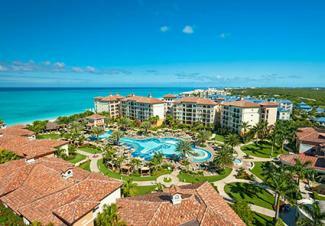 Nestled on a choice swath of impossibly-soft sand on Providenciales' Grace Bay, the family-friendly Beaches Turks & Caicos resort is a hit with kids and parents alike. 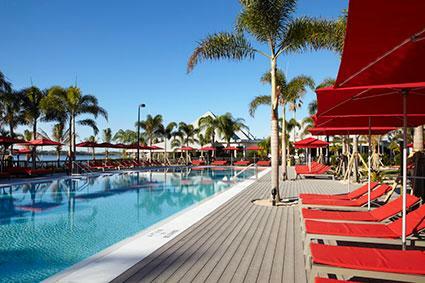 Kids can enjoy their own swim-up soda bar and water park while adults alternate between the six pools and hot tubs before the family reunites for dinner in one of 20 restaurants which serve top notch meals and top shelf liquors. It's no wonder Islands magazine listed Beaches Turks & Caicos in its top ten Caribbean all-inclusive resorts. The unpaid reviewers of the popular travel site TripAdvisor give an overwhelming 'thumbs-up' to the Valentin Imperial Maya resort located in Mexico's resort-laden Riviera Maya, which is not far from Cancun. 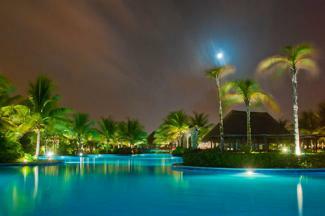 This five star, adults-only resort boasts all the standard amenities such as pools, bars, restaurants, etcetera. The service from the staff consistently stood out to their guests, and it has prompted gushing reviews and pushed this property to the top of what is a very long list. The sun-drenched islands of the Mediterranean are the stuff all-inclusive dreams are made of, and once again the travel reviewers of TripAdvisor made their top pick known. The Mitsis Rinela Beach Resort & Spa on the Greek island of Crete has been unilaterally praised by their guests for its choice location, dining options, kids activities, and not surprisingly, their staff. With both indoor and outdoor pools, a tranquil spa and stunning Mediterranean views, this 440-room resort has earned its spot among the world's best. The private Turtle Island resort in Fiji can accommodate only 14 couples at a time - one for each beach - and has been known to host celebrities and the occasional Sports Illustrated swimsuit photo shoot. For anyone with the means, this luxurious, all-inclusive resort offers scuba diving, snorkeling, and horseback riding on the beach to go along with a stay in one of their authentic Fijian bures (thatched villa). Best of all, couples are assigned 'Bure Mamas,' who serve as both butlers and concierges, and they completely pamper the guests under their care. 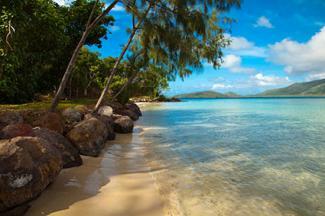 Guidebook giant Fodor listed Turtle Island in its top five all-inclusive honeymoon resorts, and couples have consistently praised this remote island gem as one of the best. The world is a pretty big place with a lot of travel options, so no list could ever truly be all-inclusive. Each region has resorts which cater to a varying spectrum of tastes, interests and budgets. The aforementioned properties have noticeably set themselves on top and are ready to be sampled by the all-inclusive vacationer.